#motivationmonday - what do you deserve? I haven't read the book or seen the movie where this quote is taken from... however I have come to know that this is true. When we live in insecurity and self-loathing we attract insecure and unstable love in our life. And we strangely accept it with open arms and embrace it for all it is even if its not the best. When we come to know ourselves, value ourselves and yes... even love ourselves we are able to accept real love, generous love, unselfish love into our life. 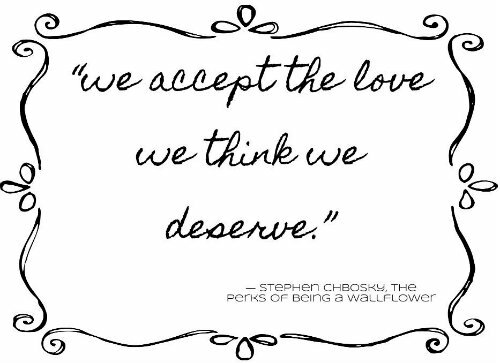 What love do you deserve?